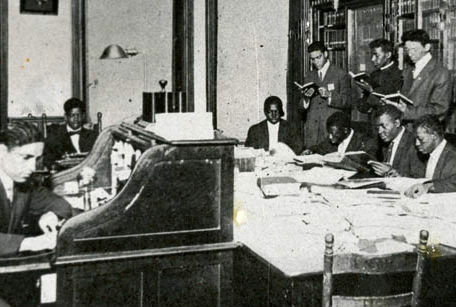 Initially, the college shared space with Shaw University, but eventually moved to its permanent home in Greensboro with the assistance of Dewitt Clinton Benbow, a Guilford County businessman and philanthropist, and Charles H. Moore, an African American educator and businessman. In 1915, the state legislature changed the name to Agricultural and Technical College. In 1967, the college became a university and took its current name, and in 1972, N.C. A&T became a constituent institution of the University of North Carolina system. Today, N.C. A&T has more than 10,000 students and awards degrees in bachelor’s, master’s and doctoral programs with a strong emphasis on engineering, science and technology. It awards more degrees in engineering to African Americans than any other university in the country and is the second-largest producer of minority agricultural graduates nationwide.